Like most people, I like to contemplate the past year as it ends. 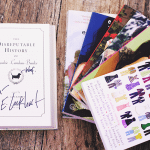 With that, I’ll be answering Jamie Of The Perpetual Page Turner’s end of year book survey to reminisce on the amazing books I read through 2014. I’ll be sharing lots of fab reads that you might have missed before and will want to check out so do read on! 141 books read! I set my reading goal to 150 originally, then cut it down to 143, and still failed. That said, I’ve outdone my number of books read the past years so I didn’t totally fail, I guess. I never officially took count because I don’t re-read that much but if I were to estimate I’d say about 5! YA Contemporary, without a doubt. It’s forever my favourite genre. Royally Lost by Angie Stanton. 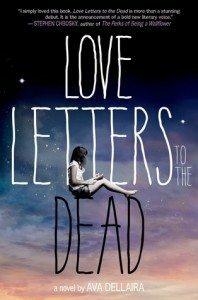 It’s a YA book with Europe travels and royalty- I was so ready to fall in love with this. But as explained in my review, the book was royally lost on me. Breathe, Annie, Breathe by Miranda Kenneally. I’ve read all of her books and although I loved most of them, Breathe, Annie, Breathe really moved me so unexpectedly. Since You’ve Been Gone. Everyone needs a Frank Porter in their life. I will probably book push this one for a long while. Melissa Keil. I’m so glad I got to read her books (Life In Outerspace and The Incredible Adventures Of Cinnamon Girl) because I just absolutely adored them! I don’t think I read any books quite outside of my comfort zone in 2014. I’ll try to do that next year. Blood Of Olympus. Rick Riordan continues to amaze with this seriously brilliant, page-turner series-ender. To All They Boys I’ve Loved Before. 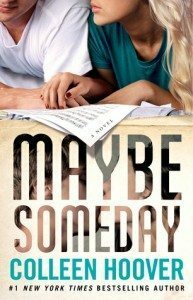 I need to re-read it because the sequel comes out next year! Since You’ve Been Gone (again)- I seriously love the typography and photography there! Bodee Lennox from Faking Normal. He remains etched in my mind- the kind boy with the Kool-Aid hair. Falling Into Place by Amy Zhang. Such a stunning, gorgeous debut. 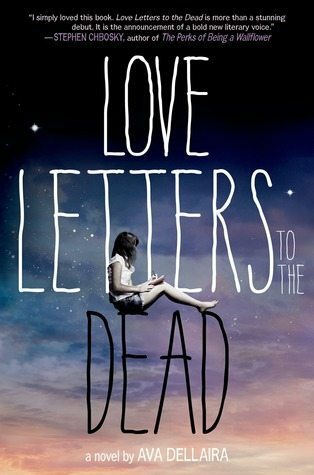 Love Letters To The Dead by Ava Dellaira made me think about life, about the world we live in. Siege & Storm. I should have read it way back so I could have met Sturmhond as early as possible! Dangerous Girls. WOAH THAT ENDING. WHAT IS THIS QUESTION EVEN. I LOVE ALL MY OTPS AND WILL GO DOWN WITH ALL OF THEM: Nikolina, Percabeth, Solangelo, Warnette, Joshla- okay I’ll stop there because the list is super long. Dee & Reagan from Open Road Summer. Best pair of best friends I’ve read in 2014! Isla And The Happily Ever After!!! It made me so happy. Matt Finch from Open Road Summer. HOT SWEET KIND SINGER GUY- OH MY HEART. 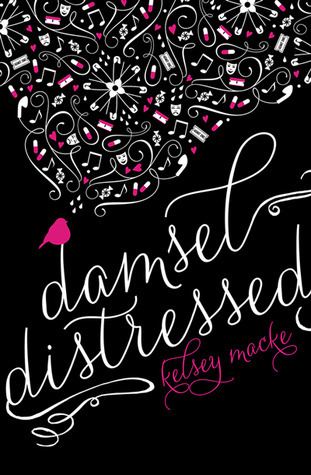 Damsel Distressed by Kelsey Macke. It’s a beautiful, relatable book. Y’ALL NEED TO READ IT. 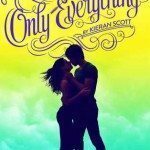 Most Vivid Setting You Read This Year? 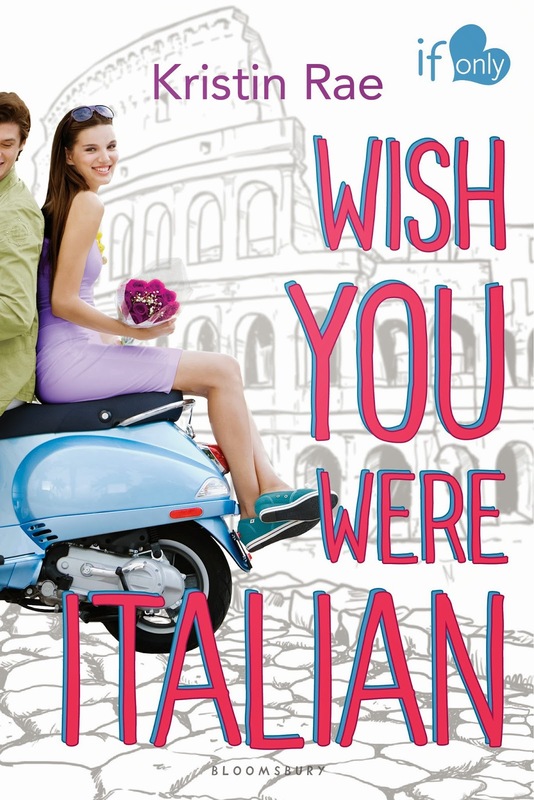 Wish You Were Italian took me to Italy which is on my bucket list of places to visit and I super enjoyed it! Damsel Distressed, yet again. It just really hit me emotionally in so many places. Kelsey’s book spoke to my heart. I never got around to writing a review (I should do that) but Aspen by Rebekah Crane was lovely and honest, under the radar as it is. Ruin and Rising. HOLY BOOK HANG OVER. Plus One had such an interesting concept! Taylor only started her blog this year and I love how her posts have so much quality and are so well-written. And her blog design is pretty neat and refreshing! 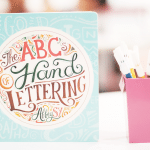 If you haven’t checked out her Paper Daydreams, you really ought to. 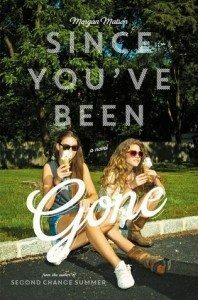 My review for Since You’ve Been Gone by Morgan Matson was super fun to write because I loved that book very much! I’d like to think The Art of Finding Great Book Bargains was a very informed and helpful post. 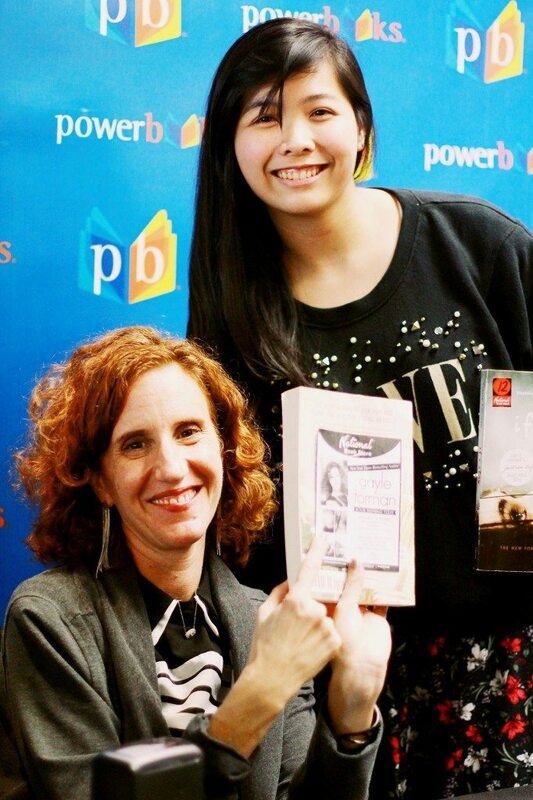 Gayle Forman in Manila. I looove Gayle’s books to death so it was such an amazing experience to get to meet her! She’s such a fun and sweet person and I had such a blast during the event. Also, that was the first time I joined the bloggers forum and I’ve bonded with so many lovely PH bloggers since then. So not only was it incredible but it’s also memorable. 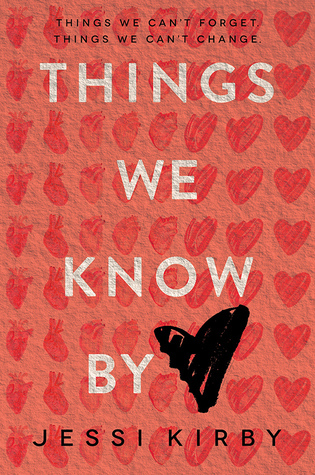 When I did my first ever completely exclusive cover reveal for Top Ten Clues You’re Clueless. I can’t thank Liz enough for the opportunity and for her trust. 7 Gayle Forman Quotes To Live By had an outstanding number of views- more than 7,500 views and almost 100 comments! 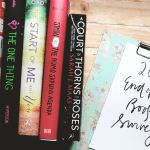 I totally rocked the YA Debut Challenge and read more than 15 2014 Debut books by the first third of the year! I’ll Give You The Sun– it was one of my most anticipated 2014 releases and I don’t know why I didn’t read it yet. I can’t wait to read it in 2015! For YA Contemporary, I’m looking forward to Things We Know By Heart, Start Of Me And You, 99 Days and for YA Fantasy, I can’t wait to read Magnus Chase and Six of Crows. All The Bright Places (I’ve heard so many things!! ), A Court Of Thorn And Roses (Sarah’s NA Debut SQUEEEE), Simon Vs. The Homo Sapiens Agenda, Mosquitoland. A Sequel You Are Most Anticipating in 2015? PS: I Still Love You– I seriously need to know what happens next for Lara Jean! My Heart And Other Black Holes, you guys. It’s beautiful and earnest. Your bookshelf needs it. I love your blog – it looks beautiful. 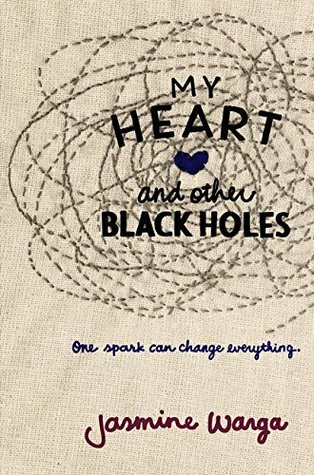 My Heart and Other Black Holes has such a nice cover, I could stare at it for days. I hope you reach your goals for the next year! Haha I totally agree with “everyone needs a Frank Porter in their life”. Preachh. I’m still waiting for mine IRL but then the second best thing is to just reread Since You’ve Been Gone over and over and live vicariously through Emily. And ahh I’m so excited for PS I Still Love You! I know I’m definitely going to marathon the two when it comes out! Also re: start vlogging, I think you should do it! Not speaking from experience because I’ve tried twice and neither of them turned out really well but I LOVE watching other bloggers’ videos so if you’re interested, I think it’s worth a shot. An interesting new medium to use! I’m glad Maybe Someday made your list :-), I totally owe it to you for pushing me to read it. A Court of Thorn and Roses is a NA? How did I not know? I would totally watch your videos, they’re really fun to make. It’s been awesome having you as a friend and I hope you have an amazing new year. Percabeth!!! I’m so in love of them!!! Blood of Olympus was wonderful, is the best series ending! wow, a wonderful post! in a great year! I’m glad that you liked Since You’ve Been Gone a lot because I’m really looking forward to reading it. I’m also really anticipating A Court of Thorns and Roses and All the Bright Things. I haven’t read most of the books you’ve mentioned here (to my great shame), but I did just finish All the Bright Places and based on your favs I think you’ll really like it. Ooh, what a great list! I love contemporary fiction, too, but I haven’t read a lot of the contemp books you mentioned, if you can believe it. I did read To All the Boys I’ve Loved Before, though, and I want to read Isla and the Happily Ever After, Since You’ve Been Gone, and I’ll Give You the Sun as well. Six of Crows, All the Bright Places, Simon vs. the Homo Sapiens Agenda, and Mosquitoland are also all on my to-read list, and I can’t wait for them all! And as for Ruin and Rising? Totally made me cry, but it was SO worth it, haha. That epilogue!! Also: THANK YOU so much for featuring my blog! It means so much to me to know that you enjoy my posts–and getting a comment from you is always lovely. :) Yours is a wonderful blog, too; you write your posts with such an engaging voice, and I love reading them! Happy New Year, Hazel–I hope you have a wonderful 2015! I hope you had an awesome New Year, Hazel! I’m so happy that you enjoyed Breathe, Annie, Breathe! Miranda Kenneally is one of my favorite authors and I really wanted to read BAB last year but couldn’t get to it since I didn’t feel like buying any books. 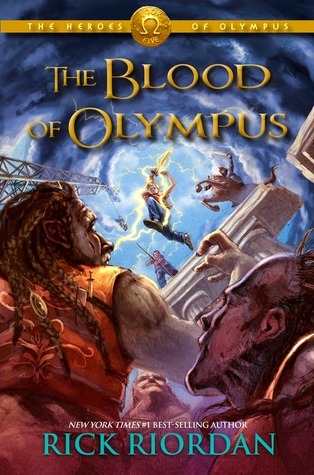 Aaahhhhh, I absolutely loved the Blood of Olympus! It’s on my nightstand right now :3 I just wanted to say that I really like your blog! 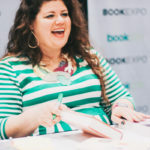 My friends and I are new to this blogging thing and staybookish.net looks *awesome*! This comment will be in a series of caps, be warned. 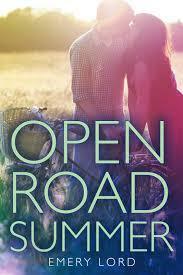 YEESSS OPEN ROAD SUMMER!! MY HEART AND OTHER BLACK HOLES, MORE LIKE SHELLY’S HEART IS PERMANENTLY DAMAGED, I ALSO MET GAYLE FORMAN AND YES SHE IS LIFE, SINCE YOU’VE BEEN GONE- FRRRRANNNKKKK. Okay, I think I’m done? YESSS I loved Since You’ve Been Gone and Maybe Someday too, and that shocking ending pushed Dangerous Girls up to my best book of 2014! Happy New Year Hazel and I hope you have an awesome 2015! HAZEL YOU MUST READ I’LL GIVE YOU THE SUN. you must. you just. you have to. Loved this post chica! Your 2014 looked totally rad. I also didn’t read Siege & Storm until this year. I’m so glad I finally did as it was amazing. 141 books is really impressive!